The transformation of a business in a franchise confirms its success and can mark the beginning of an even more prosperous stage for the company. In a pretty unstable economy it’s important to highlight the success of a Romanian business that has been operating for more than 11 years at international standards and that has proved its value along the years. Therefore, the campaign that communicates the new stage in the business’ life is, first of all, a leadership campaign. 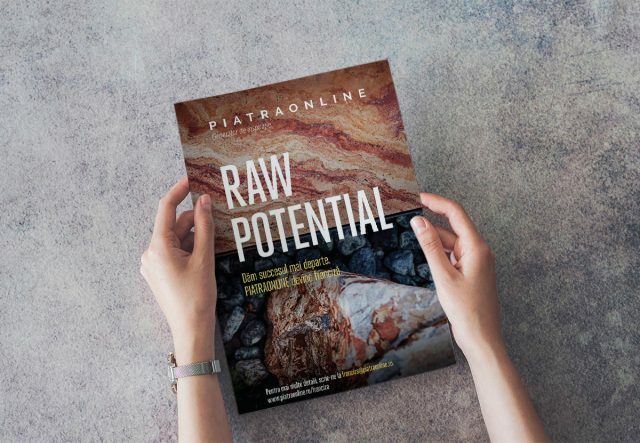 At this moment, PiatraOnline means over 40 employees, 40.000 financed projects, both in the country and abroad, the biggest portfolio of natural stone selected from all over the world (over 1500 models), 1800 sf of showroom that hosts a full universe of inspiration and the ambition of non stop exploring all the growing possibilities for a business. The newest opportunity identified by the PiatraOnline team, and at the same time, the agency’s creative challenge: the business franchise. 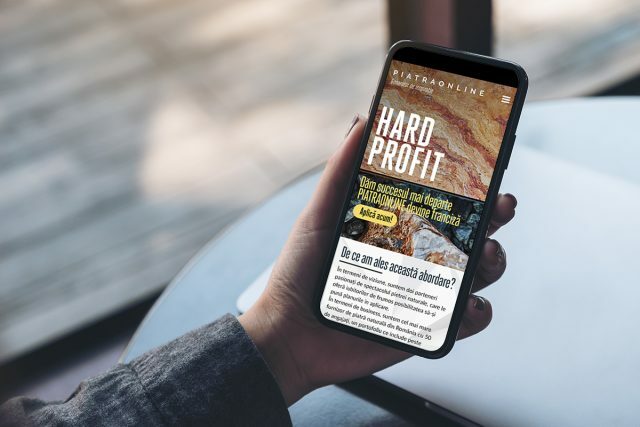 The campaign’s concept is based on the parallel between the stone’s stability as a material and the stability of the PiatraOnline business as a developing opportunity for an ambitious entrepreneur. In order to create the connection between a successful business and the company profile we built messages starting from the characteristics of the natural stone and we highlighted those qualities that transform the company’s business in a success recipe that deserves to be replicated. Solid business, hard profit, raw potential. Handing over the know-how is done based on the strong business’ points, as strong as the stone itself. 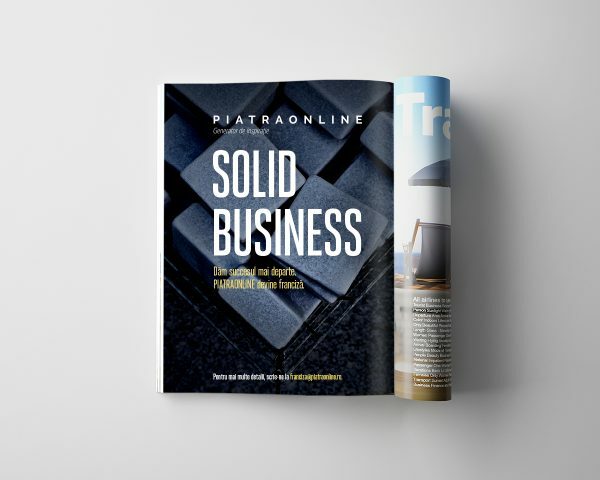 Moreover, just like the stone can be highlighted by a gifted designer, so the PiatraOnline’s franchise has a business potential that can be made the most of by a serious entrepreneur. In key visuals, Marks brings the business’ prime material and suggests, through details, the possibilities that hide behind the stone and the franchise. 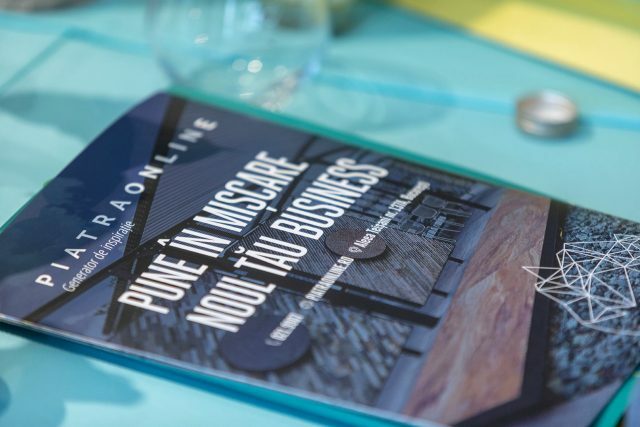 The campaign is supported by a dedicated landing page (www.franciza.piatraonline.ro) that offers an overview of the business and the benefits of a franchise, but also through social media and appearances in the specialized press. 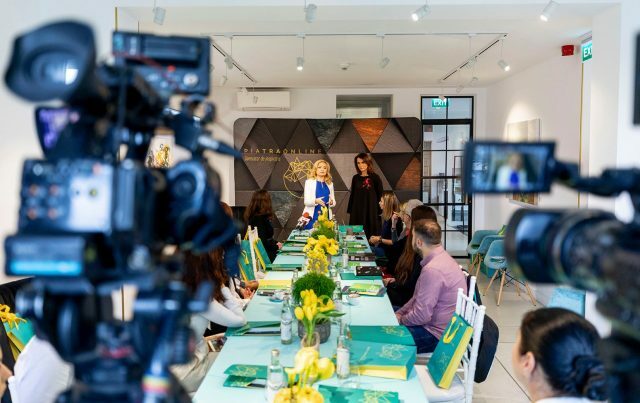 The Marks team that took part in the project included: Mia Munteanu, Client Service Director; Irina Costea, Account Executive; Dan Hagiu, Creative Director; Sabina Stănciucu, Senior Copywriter; Maria Ștefăniță, Senior Art Director. The PiatraOnlineteam: Mariana Brădescu-Constantinescu, Managing Partner and Sergiu Constantinescu-Brădescu, Managing Partner.